It's been a while since I've posted a thread on Pixelation, but I thought the time has come. 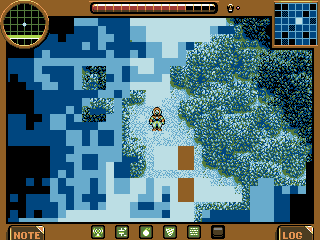 You play as a diver who explores the abysses whilst trying to stay alive. The diver is bound to his base by an oxygen feed; this means he can only move a certain distance away from the base. He can, however, release himself from the feed and rely on his auxiliary oxygen device- which has a very limited capacity. The diver also relies on a radio signal for the display of his map, the display of the radar relies on the electric current from the air feed. Fortunately, he keeps a logbook in which you can take written notes or make annotations on the map, something you can refer to and fill up as you play the game. In order to progress, you have to find various objects to build secondary bases to plug your air feed into, and plant radio antennae to guarantee a strong signal. The catch is... you only have a limited number of each part necessary to build a base, or of antennae, which means you'll have to make compromises when it comes to progressing in one direction or another. That is the concept of the game; to that you can then add side-tasks, like keeping track of the local flora and fauna, mapping and describing different areas, collecting miscellaneous objects, etc. I wanted to post here so I could get some advice, primarily for the tiles, but I would be delighted to have any other kind of input, as this is a game that is still on its first legs. Here's the most recent version of my mock-up. You can only carry a specific amount of items, with a specific total weight. If this tileset looks familiar, it's because I used Ocean Sphere's bush tileset as a (heavy) reference. I'd like to emphasize on the fact that I did not edit Ocean Sphere's tiles. It's a cross between Arne's palette and the C64's palette. About the tiles... I wanted the game to happen in pretty deep water, and I've been looking for deepwater pictures of the seabed, but that proved fruitless. 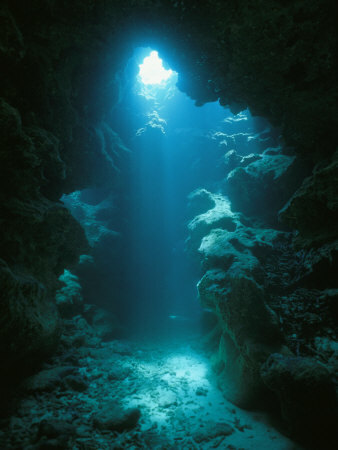 I'd like to go for something between caverns and coral reefs, but I'm having difficulties with that kind of rendering. Like Ocean Sphere, I'd like something more or less monochromatic to tell one area apart from the other, and perhaps recycle some tiles that way. I hope this project interests you, and I'm looking forward to seeing your feedback! Is there anyway you could make tiles darker? The first thing that came to mind when i saw it without reading anything, was a man in a snowy forest. The tiles, pixel wise are fine, and I could definitely spot the Ocean Sphere's inspiration. Looks like a lost planet demake, I really like the hud. Sounds like a cool idea. Good work so far. I'd recommend tailoring your palette more to suit the underwater theme. You probably won't use some of those warmer colors very often, so it might make sense to replace them with cooler, more applicable shades. I'd save a few warm tones for highlights, since the light brown works well on the sprite and HUD frame. I think the icons at the bottom of the screen are hard to read. They're small and the two-tone (plus AA) doesn't give you much room for differentiation. Since they're not depicting everyday objects, I think you'd be better off using a more representational approach. Is this supposed to be a zelda like topdown view? if so, the persons proportions are off. it looks as if the person is from the side and the tiles are from top. Also, the scene does look like snow. I thought it was snowy until I read your full page. Thanks! I'll see what I can do about the snowiness! Regarding the palette: it's the palette used by the CHIP16, which means... If I change the palette for this game, I have to change the palette for the system first. I'll put that issue aside for now and see if I can nevertheless find a palette that suits the game's atmosphere better. As for the icons... I might as well move them off the HUD and swap them for a menu icon, because I agree that they don't read that well, especially the radar and the drill. Concerning the perspective: it is flawed, and I'm aware of it, but changing the diver's perspective at the sprite's scale will only make it less readable. I have a quick tweak on the palette coming up. I suppose, after looking at a few of the references, making more use of that dark blue color (and less of the light blue, which probably gives off the "snowy" appearance many have mentioned) would benefit the piece. If you don't mind straying from that ref, perhaps some coral tiles--pink, maybe darker green--maybe barnacles, would further suggest an underwater scene? Thanks pistachio for that tip, you confirmed my doubts! I made a few quick colour swaps on the mockup with the original 16 colours on the right, and on the left I was trying to get a more aquatic colour scheme; I tried not making it too subdued. Hey! The one on the left really feels underwater now. The one on hte right doesn't feel as "underwater", but the corals have colors. Problem is: you probably can't mix both advantages. The only idea that comes to mind is that coral's colors (how alliterative!) show up only when nearest to the player, water extinguishes colors rapidly with distance.